Which New York City Hotel Restaurants Made The Cut In Michelin’s 2015 Guide? October was once a red letter – or, more to the point, red book — month. In years past, Michelin and Zagat published their new crimson-covered guides to New York City eating, often just days apart, in early autumn. No more. This week Michelin deemed 71 restaurants worthy of star quality for 2015. But Zagat is holding back its crowd-sourced results until November, perhaps to shore up all the attention. How did hotels fare this year with Michelin’s under-the-radar inspectors who visit anonymously and always pay for their meals? Not so good. In fact, if you’ve got a copy of the 2014 guide there’s nothing new to report. Jean-Georges at the Trump International Hotel & Tower is once again the only hotel restaurant to earn three stars — “exceptional, worth a special journey,” in the estimation of Michelin’s team of professional eaters who grade properties on such criteria as product quality, food preparation, value for money, consistency over repeat visits and the chef’s personality as revealed in the flavors (that last one sounds scary, but never mind). Just six restaurants hit the three-star target, down from seven last year (Daniel Boulud’s Daniel missed the cut for the first time in years). Nine restaurants scored two stars, aka “excellent cuisine, worth a detour.” But for the second year in a row, hotel restaurants were shut out. As for one-star properties, which translates as “a very good restaurant in its category,” 55 restaurants were anointed, same as last year, though not the same 55 (newcomers included Lincoln, Telepan, Wallse and M. Wells Steakhouse). But it was plus ca change for hotel restaurants. Last year’s fab four returned once again with no additions. They are Ai Foiri at the Langham, The Breslin at Ace, Cafe Boulud at The Surrey and NoMad at The NoMad. Partnerships between New York hotels and local restauranteurs continue to flourish, a mutually beneficial situation. Witness hotel newcomers like the Ludlow, home to the hip bistro Dirty French from Major Food Group’s Mario Carobonne, Rich Torrisi and Jeff Zalaznick, and The Viceroy, where Marc Murphy of Landmarc oversees the locally sourced Kingside Restaurant. A well-known restauranteur can lure locals and generate buzz. Guests, meanwhile, feel like they’re getting a taste — literally — of how the home team eats and plays. But hotel restaurants play by specialized rules that include serving breakfast and, often, room service. And though no serious chef wants to bland down the menu, hotel restaurants often cater to a less adventurous clientele than a Brooklyn hotspot. Their menus reflect this. It’s no mystery why the five hotel restaurants tapped by Michelin made the list. All are distinctive stand-alone properties that deftly satisfy a mix of locals and guests and serve outstanding food, including breakfast (Cafe Boulud’s Peaky Toe Crab Benedict is superb). It’s easy to quibble with Michelin’s choices. Personally, when I’m at the Ace I prefer The John Dory raw bar to the Breslin both for food and atmosphere. But objectively, the Breslin does a better job of hitting Michelin’s required bases. So what do you think? 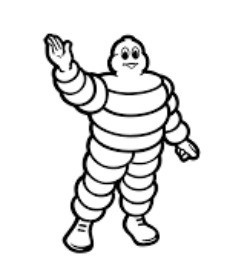 Did Michelin get it right? http://overnightnewyork.com/wp-content/uploads/2017/07/logo_overnight_newyork-1.png 0 0 Terry Trucco http://overnightnewyork.com/wp-content/uploads/2017/07/logo_overnight_newyork-1.png Terry Trucco2014-10-05 00:57:202017-08-12 17:34:47Which New York City Hotel Restaurants Made The Cut In Michelin's 2015 Guide? Is Jean-Geoges at Trump International Hotel & Tower the Best Hotel Restaurant in New York City? Is Hotel Room Service on the Way Out -- And Do You Care? My hotel restaurant recommendation is the NoMad, starting with drinks in the library. I’m with you, Gunter. Thanks!